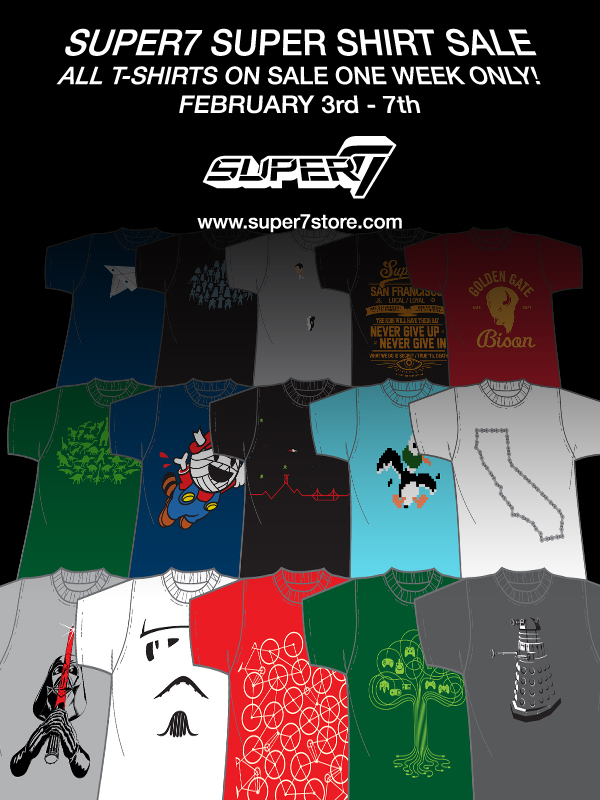 Next week, for one week only, every Super7 T-Shirt is on sale! Pick up one for yourself and one for a friend! Been thinking long and hard about whether the Hitchcock Birds or Controller Tree is the right design for you? Wonder no longer, now you can wear them both! Beginning Monday, February 3rd and running through February 7th, all T-Shirts will be available online for $15-$25 each. Check out the savings Monday morning right here.